HOLMES - Tassie L. Holmes, a resident of Jacksonville, Florida passed away on December 6, 2018. Funeral Service will be held on Saturday, December 22, 2018 at 11AM at Southside C.O.G.I.C., 2179 Emerson Street. THERE WILL BE NO PUBLIC VIEWING. Arrangements entrusted to the MIXON TOWN Chapel of Q. L. Douglas Funeral Home, 2403 Edison Ave.
Sending countless prayers, from your Tallahassee family!! Sending you love and prayers from your Tallahassee family by way of Ohio. The Holmes family. Have my prey and my heart goes out to you all god bless the Holmes ffamily! My sincere condolences to family and friends. I receive comfort and share it because Jesus gives us his promise that he will resurrect our loved ones. John 5: 28 and 29. When earth becomes the place of peace Jesus talked about at Matthew 5:5, then we will live the promise of everlasting peace. Psalm 37:29. We have a promise from God at Revelation 21:3,4. There will be no more death and pain. There is more comfort to be read about in God's Word, the Bible concerning the resurrection and reuniting with our loved ones. May God’s peace be yours. Isaiah 26:4. 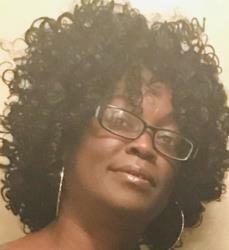 Gale your family in Tallahassee Is praying for yo we love yo, I remember the good times We had at annie Bessie house, Which is my grandmother, Please call me 8502643109 love you cousin. To the Holmes family sorry for your loss. My prayers are with you may God continue to bless each and everyone of you . My condolences to the family. Gail my prayers are with you at this time lean on the Lord and He will give you the strength to endure. Sending Prayers to the family and may you have the strength to carry on at this time of sorrow. From - Eric Mitchell My thoughts and prayers are with you Ms. Gail , Tonya & Family during this difficult time. I pray that God continues to give you strength during this difficult time.